Khloe Kardashian is helping to change lives and taking fans on a transformational and motivational journey to get healthy and build confidence in her new E! 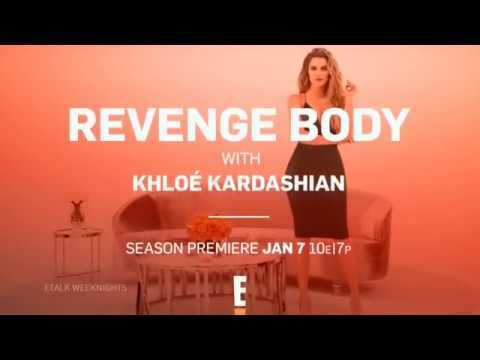 series, "Revenge Body With Khloe Kardashian". In each hourlong episode, participants will get the opportunity to reinvent themselves from the inside out with the help of Kardashian and top fitness and nutrition experts. Over the course of the series, Kardashian personally gets to know each participant, finds out what has broken them down, and give them the tools they need to build themselves back up. Khloe Kardashian's New Show Is Inspired by Her Own Weight Loss Struggle. Get the First Look!